Obviously, that should be music to the ears of any fan of the Green. But let’s not get ahead of ourselves just yet. How many times have we heard similar “promises” issued by other NBA stars, only to watch them pull the rug right out from underneath their loyal, naive fans’ feet? Remember when LeBron made his triumphant return to Cleveland in 2014 and adamantly stated that he would never, ever leave his precious home state again? He just “didn’t have the energy” to even fathom making another move, and he was going to be a Cavalier FOR LIFE. No ifs, ands, or buts about it! Just over a year later, he joined the Golden State Warriors. I am not criticizing either player for choosing to make the moves they did, and everyone reserves the right to change their mind. 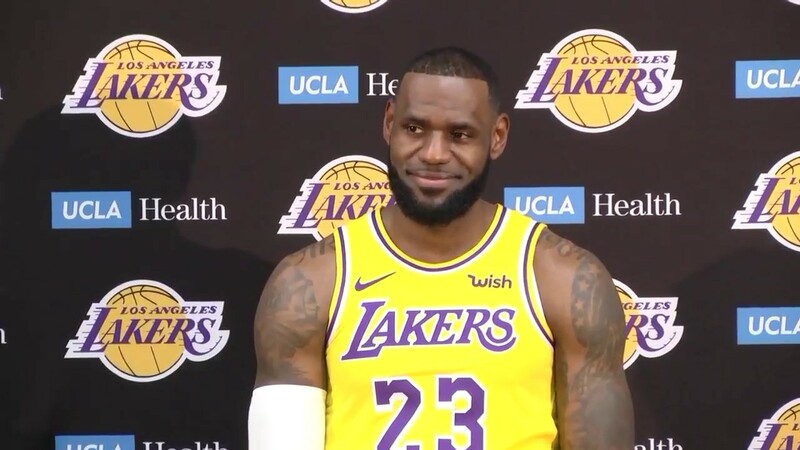 I just simply refuse to take any player at their word – in any sport, but ESPECIALLY the NBA – when it comes to long-term commitment or promises of future loyalty. NBA players are a fickle bunch, and even more so they’re very obstinate. As soon as the opportunity arises for them to team up with one of their buddies or another star who just so happens to become available, they’ll drop their old team quicker than you can say “the next big three.” There’s already been plenty of chatter about Kyrie wanting to team up with biffle Jimmy Butler, and there’s just no way that could ever happen with the Celtics. (Well, it could, but it wouldn’t be worth the effort it would take to do so.) And Thursday night we got a report, per Jay King of The Athletic, that he’s also spoken with Pelicans All-Word forward Anthony Davis about a potential team-up. While the idea of Davis in a Boston uniform makes me feel things in certain places that I probably can’t mention on this blog, there’s no guarantee Danny Ainge could make that happen. 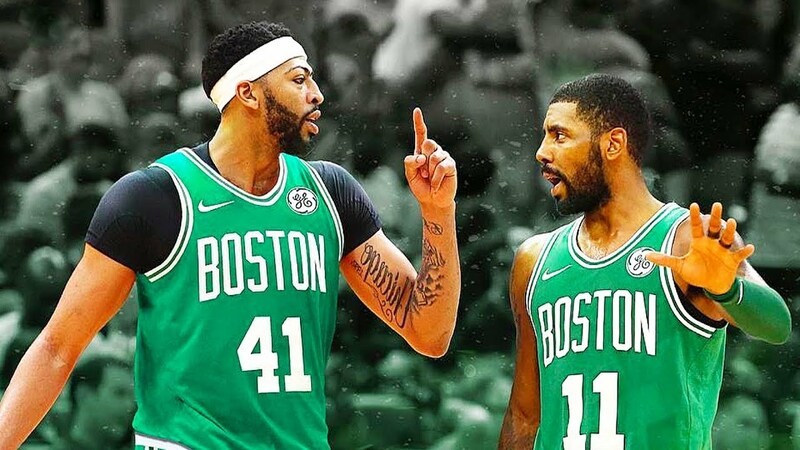 And if there’s another team that can offer a better pathway to get the three of them together, Kyrie would be foolish to not at least consider it. Now, to be fair, Smith may have just been letting everyone know about his current state at the time of the post, but in all seriousness the two did play together for two years, so they’re not strangers. Also, again, he is not the first to connect Kyrie to the ole Knickerbockers. Seriously, just Google: “Kyrie Irving Knicks” and you’ll see the rampant speculation out there from all corners of the NBA zeitgeist. Perhaps the one saving grace Celtics fans can rest their hat on is the fact that Kyrie can make way more money by re-signing here as opposed to going anywhere else due to NBA max contract rules. But again, if he can still make just as much – if not more – with endorsements and movie deals off the court, does that really even matter? So, look, it’s OK to be happy about what Kyrie said last night; I am, too. But let’s not take it as Bible, and do understand that a lot can change over the next year. Until I hear about the T’s being crossed and the I’s being dotted on Kyrie’s next official contract, I’m not counting my chickens. This entry was posted in Boston, Celtics and tagged Boston Celtics, Celtics, Knicks, Kyrie Contract, Kyrie Irving, Kyrie Irving Contract, Kyrie Irving Free Agent, Kyrie Irving New York Knicks, Kyrie Re-signing, NBA, NBA Free Agency, New York, New York Knicks. Bookmark the permalink.